Here’s crossing out two items on My Birthday Wish List v.27. It’s hitting two birds with one stone. And I’m really, really thankful that I’ve done something like this. I cannot wait to list down the items for next year! 5. Help friends cross out at least one item on THEIR lists this year. Well, actually, isa pa lang naman na friend. To see Angkor Wat is on Negie’s bucket list. 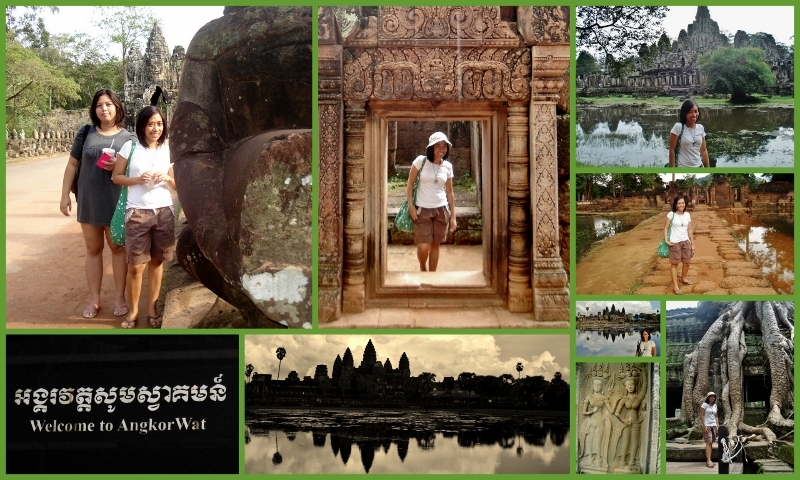 I’m glad I went with her to explore the temples of Angkor Wat. It’s really magnificent. Overwhelming. I hope I can find time to write about the trip sometime soon. It’s not actually on my lifetime must-do’s, but I’m seriously considering putting “Go back to Angkor Wat” in the list now. 15. Explore a place I’ve never been to. I’ve finally traveled abroad! Weee! Vietnam and Cambodia:Check! At madadagdagan pa’ yan in the future. Yey!